Infolinks Review: Why it is best AdSense Alternative? At TricksRoad, we have several times discussed different methods of making money online. But one thing is common when we talk about what are the best ways to monetize a blog and that is Google AdSense. No doubt, for a new blog or even an established one, Google AdSense is one of the best methods of monetization. But what if you are not getting approved with AdSense? Making money online is not just Google AdSense and AdSense is just one of the many ways to make money online. A couple of months ago, I tried few publishers network to monetize my niche sites and one that turned quite well is Infolinks. I made quite a decent amount with Infolinks and here in this Infolinks Review, I am going to share complete details about Infolinks networks and also I’ll explain why this is the best Google AdSense alternatives. Many times you will find that AdSense is not approving a site or they have banned a site etc. In such case, Infolinks can be the best alternatives due to many reasons which I will explain later in this article. 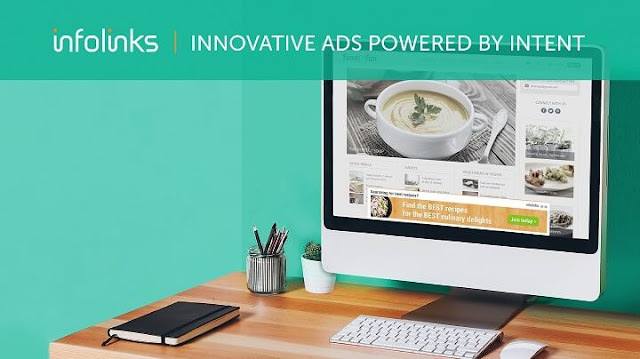 Also, new blogs don’t usually get direct banner ads or sponsored review and so to make decent money from it, you can try different available ad network and what can be better than Infolinks? But you may be thinking why only Infolinks when we have many other monetization networks as well? Let me tell you few reasons behind it. Here are the few of many reasons why you should consider Infolinks over other ad networks and why Infolinks is best AdSense alternatives? • Doesn’t acquire any extra spaces on your site. It will make some keywords as an ad tag and when someone will hover to those keywords, it will show the ad and so no extra space. This list doesn’t end here and we will talk later in this Infolinks ad network review. Infolinks Review: Should you join or not? Infolinks started their journey in 2007 and since then they have helped thousands of publishers to make money online by integrating ads on their website. 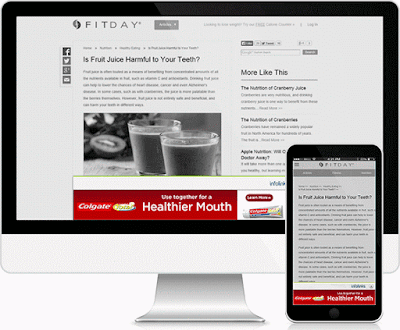 It is one of the best Google AdSense alternatives and deals in CPC and CPM kind of ads. Lots of publishers have moved to Infolinks as they find AdSense TOS bit hard to maintain. Also, they best thing is, you can use Infolinks with Google AdSense and can enjoy double earnings. As I mentioned above, Infolinks doesn’t require any additional space but if you will go with In frame ads, then it will use the left and right side of the site. 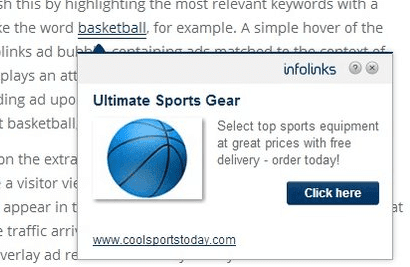 Once you have added the ad script in the head section of you site, the Infolinks tool will automatically do the rest. It will start making some keywords from your text like links and whenever you will hover to those keywords it will start showing the ads. Now whenever someone will click on those ads, you will make money. The more clicks you get from your visitors, the more money you will make from Infolinks. Infolinks is neither as strict as AdSense and nor it takes so much time as other ad networks do. The signup process is very simple and you can get an easy approval. • Fill the details like site name, niche etc. • And you are done! You don’t need a high traffic blog to get started with Infolinks, if you have a decent blog and if you’re providing some value to your visitors, you are good to start with. Earlier Infolinks used to be an In-Text Ad Network but with the time they have developed and now they have three more categories of ads as below. This is the first kind of ad through which Infolinks came in existence. Also, it is In-Text ads which gave Infolinks a name in the advertising world. As we have discussed, once you will add the ad script on your site, it will start showing ads on certain keywords targeted by the network. You should use this ad if you have the majority of traffic from desktop or users who use the wide screen to view the site. This kind of ads are shown in the extra space on your site as shown below and whenever your visitor will see the ad, you will make money. InTag ads are almost similar to the InText ads but will be shown as a tag instead of links. InTag ads are created using related tags and tag cloud. 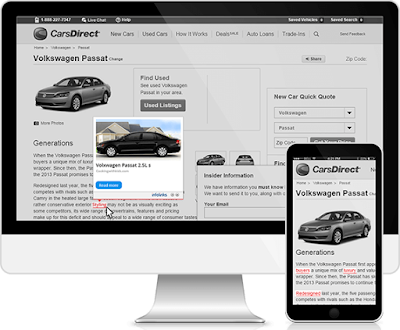 You can customize these ads as per your website design and they will shows as a collection of tags in between your website content. 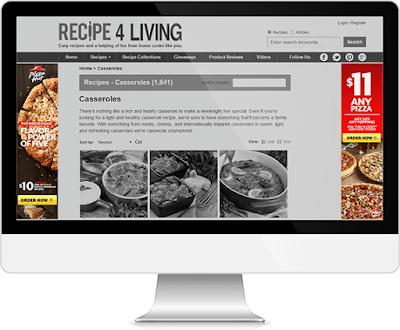 InFold ads will help you to monetize your search engine traffic and will not affect your returning visitors. Infolinks team claims that by using InSearch ads, you website bounce rate will get decreased which is a search engine ranking factor. So now we have landed to the important part J Infolinks is known for their on-time payment. You can use PayPal, Bank Wire, ACH (Available for US Accounts only) and Prepaid MasterCard by Payoneer to accept their payments. The minimum payout depends on the payment methods you choose to withdraw the payments. In the case of PayPal and Payoneer, it is $50 and for Bank Wire and ACH, minimum payout it $400. Usually, publishers use PayPal to get the payment and so $50 is not a big amount and a decent site can easily achieve this threshold. Also, Infolinks works on 70:30 share ratios. That means, they will give you 70% of the earning and will keep 30% which is considered as a great share as Google AdSense just shares 68%. You can keep track of your earning from your publisher's dashboard. This gets updated in real time and so you can keep track of it. You can keep an eye on your traffic, a number of clicks, CTR, eCPM and impression counts from the dashboard on the daily, weekly and monthly basis. This is another feature I liked about Infolinks. It’s true that same size and color doesn’t fit for all the sites and so customization options should be there. If some site’s main color is Red and if your ad is of green color or something completely different color then it will clearly show that those are ads and no one will click and so you won’t be able to make much money. 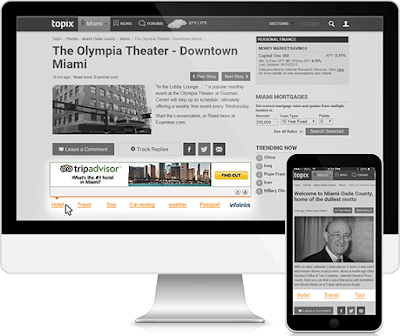 Infolinks provides you the opportunity to customize your ads as much as you want. Below are some of the customization those you should check in order to make ad natural and attract more clicks. The keywords which get converted as an ad through Infolinks can either have a single underline or double underline. But if you will ask the experts, they will suggest you use only single underline so that it will not simply look like an ad. The reason behind this is, most of the site owner use links as underlined text and so if the ad is also underlined so visitors may take it as links and may click. Again this is to increase the number of clicks on the ad and to increase the earning. In Ads Blindness, what you will do is, make the color of ad link similar to the color of your normal link on the site. Hence, it will be difficult for the visitors to decide which is natural links and which is ad links and so it will increase your earnings. Many times you must have heard or even experienced that some niches and keywords pay more per click compared to other. What exactly is this? There are some keywords for which cost per click is high. For example, keywords related to Mesothelioma has a CPC above $100 while keywords like Wireless Mouse has a CPC less than $0.5. Can you see the difference? Definitely, if you are using keywords which have CPC above $100 also, you are not going to get $100 per click but it will be definitely more. So try to use some high paying keywords in your content to boost your CPC. You can take help of Free Google keywords planner tool find high paying keywords. Apart from these three important customizations, you can also turn on and off Infolinks as on some pages as per your requirements. Also, Infolinks support team is available 24x7 to support you in any case. • Some networks provide instant approval and so 72 hours can be more for them. Looking at the features and benefits, no doubt Infolinks is one of the best AdSense alternatives. Their support teams are always up to help you and different ad types make you flexible to use any types of ads as per your requirements. If you are using or have used Infolinks, share your experience with us.